“Without the proper branding, a park is just a grassy expanse of lawn mown by the city, but with the proper signage, it’s an Internet sensation. 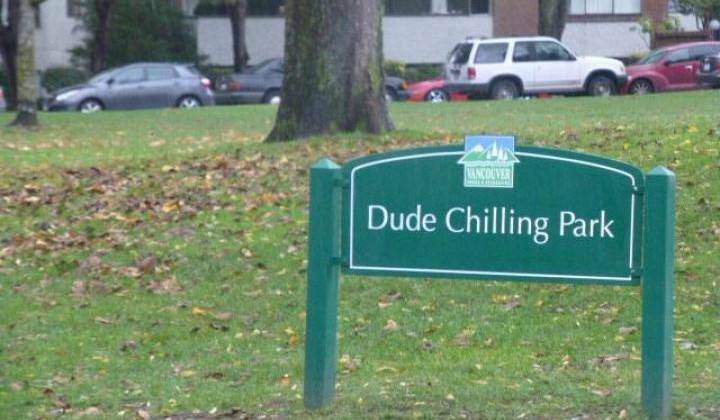 The city of Vancouver is seriously considering renaming Guelph Park after a street artist placed a sign reading “Dude Chilling Park” made it the place to be for dudes looking to unwind.” The story and image via http://bit.ly/1eXTHBt. My 2¢: What’s so great about being typical? Taste Younique. People will talk.